What’s Open and What’s Closed Memorial Day 2017? The weekend of May 26 through May 29, 2017, is Memorial Day weekend. 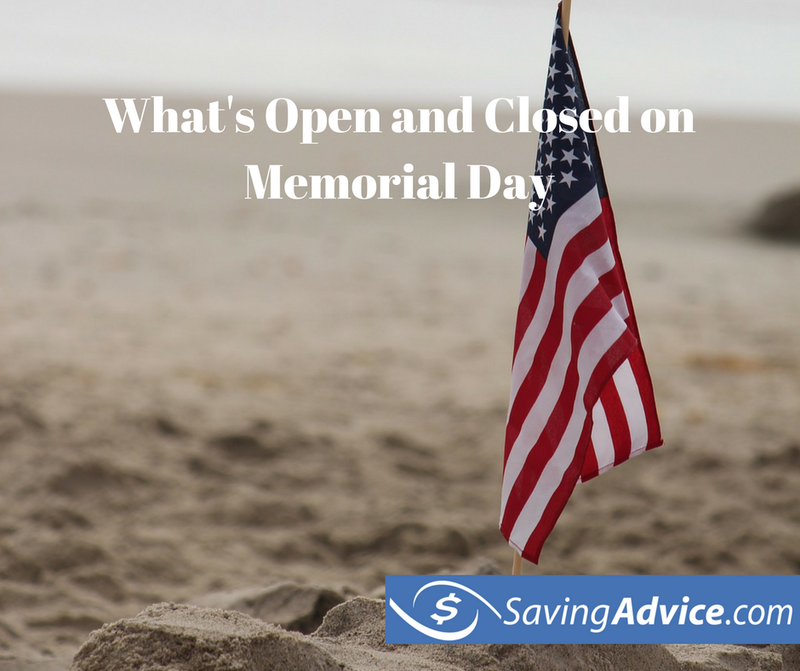 As with many federal holidays, it can get confusing as to what’s open and what’s closed Memorial Day. The United States doesn’t have national holidays, so while federal employees will have Memorial Day off, people working in other sectors may or may not have the day off depending on what the company they work for decides. Since each individual workplace decides whether or not to remain open, it can get quite confusing as to what will and won’t be open. Below you’ll find a list of those places you can expect to be open and closed on Monday, May 29, 2017. Most retail stores are open. Memorial Day has become an event to drive traffic to stores at the beginning of the summer season through Memorial Day sales. 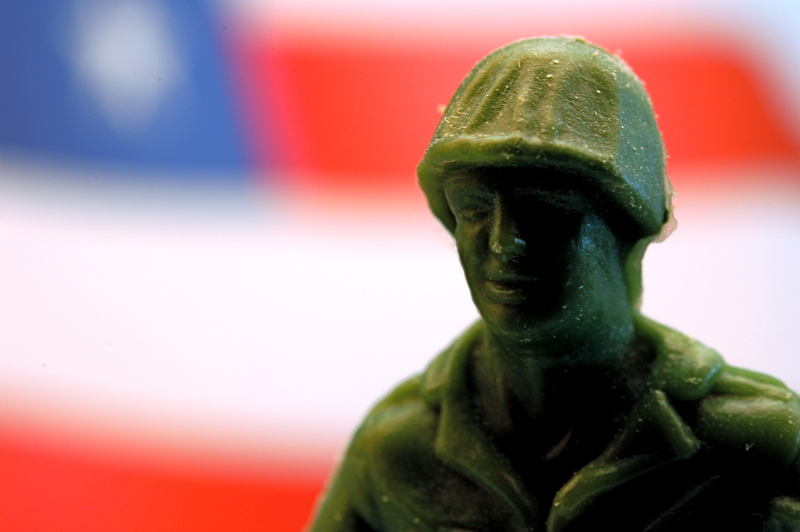 Due to this, most retail outlets remain open on Memorial Day. Major retailers like Walmart, Target, Macys and Sears will all be open on May 30. The one major retailer which closes its doors for the day is Costco. You can see the list of stores which will be open and closed here. Grocery stores are open. For those who find they need to stop by their local grocery store to get food on May 29, you’ll be happy to know that all major grocery store chains will be open. It’s important to note that some of the grocery stores will be open for holiday hours, and not their regular Monday hours. If you plan to go to the store in the evening, you may want to call to confirm they will be open when you are planning to go. Banks and credit unions are closed. The vast majority of banks and credit unions will be closed on Monday, May 29. There aren’t a few exceptions, but they are far and few between. You can see a complete list here. Libraries are closed. Libraries typically observe federal holidays, so most will be closed on May 29. Garbage service is closed. For those who typically have their garbage picked up on Monday, that service may not run depending on what city or town you live in. In many cases, garbage service is rescheduled for Tuesday, May 30, but you should check with your local garbage service to confirm. What’s Open and What’s Closed Memorial Day 2016? The weekend of May 27 through May 30, 2016, is Memorial Day weekend. As with many federal holidays, it can get confusing as to what will and won’t be open on Memorial Day. The United States doesn’t have national holidays, so while federal employees will have Memorial Day off, people working in other sectors may or may not have the day off depending on what the company they work for decides. Since each individual workplace decides whether or not to remain open, it can get quite confusing as to what will and won’t be open. Below you’ll find a list of those places you can expect to be open and closed on Monday, May 30, 2016. Grocery stores are open. For those who find they need to stop by their local grocery store to get food on May 30, you’ll be happy to know that all major grocery store chains will be open. It’s important to note that some of the grocery stores will be open for holiday hours, and not their regular Monday hours. If you plan to go to the store in the evening, you may want to call to confirm they will be open when you are planning to go. Banks and credit unions are closed. The vast majority of banks and credit unions will be closed on Monday, May 30. There aren’t a few exceptions, but they are far and few between. You can see a complete list here. Libraries are closed. Libraries typically observe federal holidays, so most will be closed on May 30. Garbage service is closed. For those who typically have their garbage picked up on Monday, that service may not run depending on what city or town you live in. In many cases, garbage service is rescheduled for Tuesday, May 31, but you should check with your local garbage service to confirm.